Ladies: Here's a chance to sneak away for four days to recharge body, mind, and spirit. Wellness and nutrition expert Nicole Glassman, founder of Mindful Health in New York City, is leading a "Mindful Mosaic Women's Retreat," September 27-30, at the gorgeous Buttermilk Falls Inn + Spa in Milton. 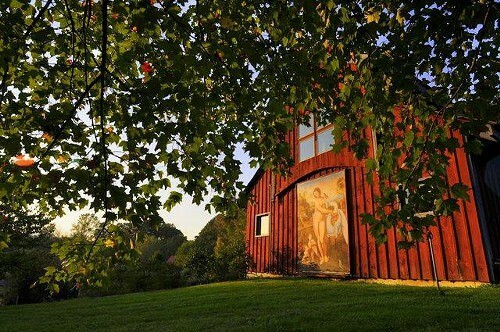 The getaway includes a morning yoga class, organic meals including a farm-to-table dinner, meditations, journaling, hands-on activities, and spirit-nourishing Mindful Mosaic programs and workshops. A retreat highlight, the Mindful Mosaic approach involves connecting to your core and redefining your life for emotional and physical wellbeing. And what a setting in which to do that. Buttermilk Falls Inn + Spa expands over 75 acres in Milton with ponds and gardens, patios and walkways, all at the edge of the Hudson River. To register, call Mindful Health at (212) 245-3129 or e-mail info@mindfulhealth.biz.